On the trails, through hills and mountains, and on the streets at home, it's always better to run in the company of Dog. Enjoy the freedom of movement from Dog's perspective. Dog inspires and Dog motivates. 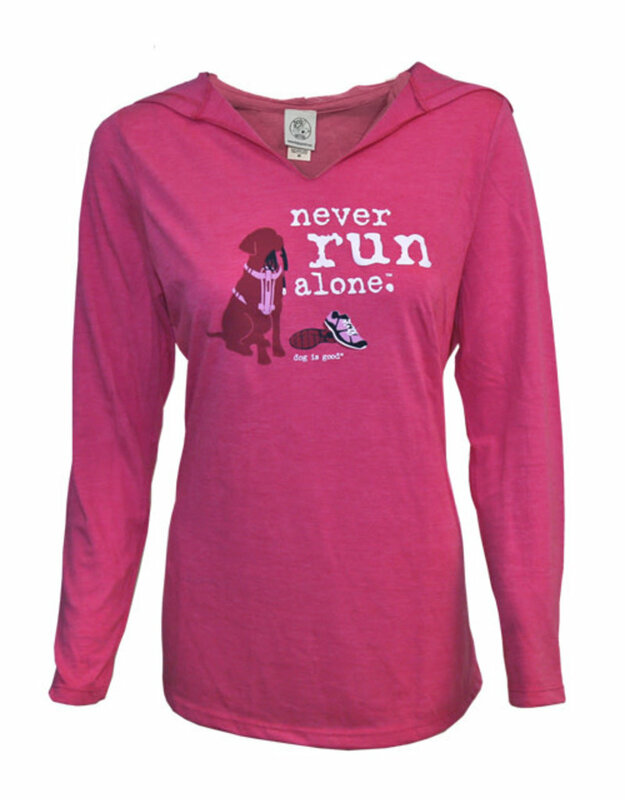 Never run alone! 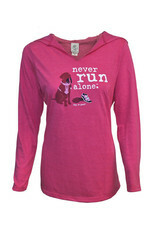 Live life with Dog and share the message with this stylish hooded T-shirt.